As the Dust Settles on Mars, Can NASA's Robotic Explorers Forge Ahead? Three months after the first stirrings of what became an epic global storm on Mars, the winds have died down and the dust that filled the atmosphere is settling. Now, like a scene from the opening moments of the film "The Martian," NASA is working to return to normal operations with its explorers on the Martian surface — and seeking to re-establish contact with one that has not checked in. The veteran robot Opportunity, which has been roving the bottom of a suspected ancient Martian sea (Meridiani Planum) since 2004, went into a protective "sleep" mode on June 10 when airborne dust choked off sunlight — its source of power. This robotic version of an induced coma is intended to preserve battery power and keep electronic systems in a low-power standby state. Now that the skies are clearing and sunlight levels are returning to normal, NASA is counting on the rover's solar panels to recharge its batteries and "wake" the robot from its stormy-weather slumber. Questions remain. Are Opportunity's systems still healthy? How much dust may have settled on its solar panels and will it hamper recharging? And this all happened just when things were getting exciting again. 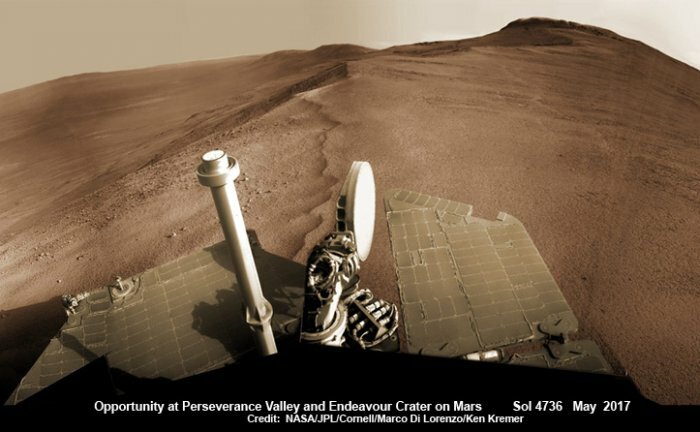 Though Opportunity is arguably near the end of its marathon 14-year campaign of exploration, it was just beginning to explore a possibly water-carved valley on the edge of the 14-mile-wide Endeavour Crater when the wind storm began to develop. After trekking more than 28 miles across Meridiani Planum, finding copious mineralogical and morphological signs of past water along the way, NASA decided to send the rover on the somewhat risky path down Perseverance Valley. It's been an open question whether Opportunity would ever make it to the bottom of the ravine before suffering a final failure or encountering an impassable obstruction—but on an exploratory adventure like this, the journey is more important than the destination, and any revelations about the history of water on Mars will help us understand our Earthlike neighbor better. Will Opportunity wake up and report in, continuing the adventure for us all? Stay tuned…. Meanwhile, on the other side of the planet, the Mars Science Laboratory rover Curiosity has plowed ahead despite the storm and dust-choked skies above. Now sporting a layer of dust accumulated over the last couple of months, Curiosity is stationed on the lower slopes of Mount Sharp, a 3.5-mile-high mound of sedimentary rock and soil in the middle of the 90-mile-wide Gale Crater. 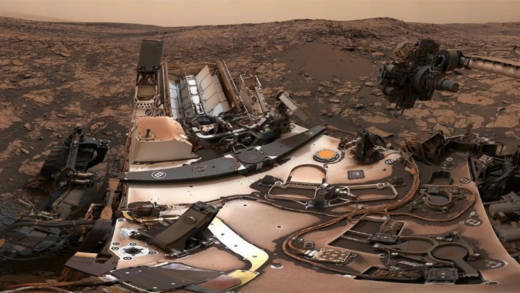 Powered by a thermoelectric nuclear generator (yes, like the one in The Martian that kept Mark Watney warm as he drove his rover across the land), Curiosity was unfazed by the dust-veiled sun — and could operate in complete darkness if it had to. Curiosity is presently exploring a large outcrop of rock called Vera Rubin Ridge—a geological feature that intrigued scientists long before they decided to plot Curiosity's path to it. Concentrations of the often water-formed mineral hematite were detected from orbit by the Mars Reconnaissance Orbiter. Vera Rubin Ridge has proven to be more than just a vein of hematite. In fact, it is the most geologically diverse site yet found by Curiosity, with a large variety of rock colors and textures all wrapped up in a single formation. Two attempts to drill samples were thwarted by unexpectedly hard rock, and the investigation is ongoing, with two more drilling sites scheduled for later this month. What makes the ridge's rock so hard and resistant to wind erosion is one of the mysteries NASA hopes to solve. One possible explanation is that water flowing through the ground in Mars' distant past deposited a hard mineral — possibly a form of hematite — that "cemented" the formation together, which was later exposed by wind erosion of surrounding softer materials. Whether Opportunity shakes off its safe-mode fugue and resumes prospecting for signs of water, and how ever far Curiosity climbs up the sedimentary layers of Mount Sharp, the adventure of exploring this probably once very Earthlike planet will continue. 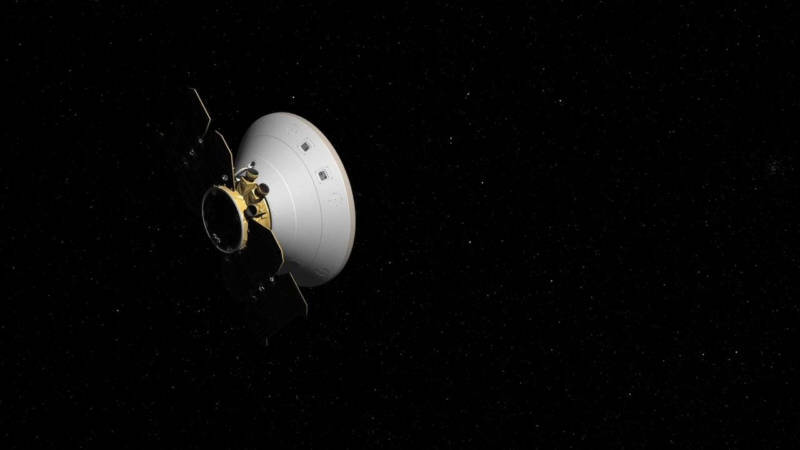 The InSIGHT lander is more than halfway to Mars, with a landing scheduled for November. And the launch of the Mars 2020 rover, whose mission will be to search for signs of Martian life, is only two years away. Stay tuned for the next installment of this saga.